I have an above ground pool made by Seaspray it is about 8 years old. I am in need of 15 top caps with a part #13348. I need parts for 1994 Seaspray oval pool. I need tracking and straps and plastic peices to put on liner around the edges. please help. 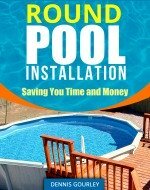 Where can I find replacement resin top covers for my Seaspray Ponderosa 24ft round above ground pool. Pool has 6" top rails and 5" uprights. I have an 18 foot circular pool made by Sea Spray, was purchased in 1998. I need the bottom railing which the pool fits in. I have contacted numerous places to no avail any help would be greatly appreciated. I have a Seaspray Interational above ground pool. I am moving the pool but the bottom rails are deteriorating. I cannot find any one that sells the Seaspray bottom rails. Would like to get my pool up. Did you ever find bottom rails for your seaspray pool? I am also moving a pool and need new rails. Please email me at justincook100@hotmail.com with response. Thank you! I am looking to replace the top rails on my 24' round sea spray aegean pool and the decorative caps. Do you have any idea where I might find them? Thanks for your help. I need top support caps for older Sea Spray pool. Looks like P/N 1174-3-4-5, 12227 Putty. These are in two parts. Need 18 sets. 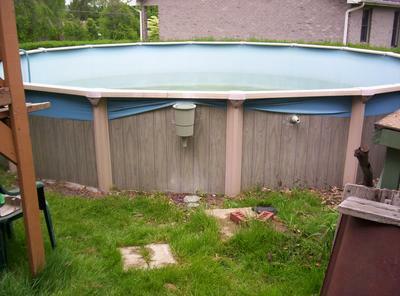 I have a 28x52 above ground pool I am trying to put back together I need the steel braces and top caps the only number I can find on it is P/N 1174 3-4-5 I think its a Sea Spray pool but not for sure. Where can I get these parts? I'm looking for top caps for a Seaspray above ground pool, Part #13637. I bought some a few years back from the dealer but he is no longer in service. Can you help? I need 19 top rails for my Seaspray Allure 52" pool. Where can I order top rails, been searching for hours! Anyone? I am looking for spare parts for my pool. I need 1 rail and 1 column support.